Mr. Benjamin began his legal career at Orrick, Herrington and Sutcliffe, and continued his career at Coblentz, Patch, Duffy and Bass. He started Benjamin Law Group, P.C., after spending almost three years as a Deputy City Attorney in San Francisco. As a Deputy City Attorney, he managed an array of labor matters and employment litigation matters including labor negotiations, arbitrations, hearings, and trials. Mr. Benjamin is a trial attorney with vast experience resolving cases of many levels of complexity. Since opening Benjamin Law Group, P.C., Mr. Benjamin has been recognized as a 2015 Rising Star by Super Lawyers, and then elevated to 2016 Super Lawyer status in just one year. Mr. Benjamin has also been recognized as a top attorney by The National Black Lawyers – Top 100, and The Global Directory of Who’s Who as a Top Lawyer 2016. Mr. Benjamin has successfully litigated antitrust class actions; securities class actions; wage and hour class actions, multi-plaintiff cases under the Private Attorney General’s Act, and other multi-plaintiff and single-plaintiff matters. Mr. Benjamin has practiced in state court, numerous federal courts, the Ninth Circuit Court of Appeals, before arbitrators, Administrative Law Judges, the National Labor Relations Board, and the Public Employment Relations Board. He has represented all of his clients by employing the same tenacity, focus, attention to detail, and rigor; regardless of the size of the case or the amount of money at issue. In addition to managing a thriving litigation practice, Mr. Benjamin also handles business transactions for technology start-ups and established businesses. These business transactions include licensing agreements, formation documents, agreements between founders and investors, employment agreements, and other negotiations key to the success of revenue growth and business viability. Before attending law school, Mr. Benjamin attended the University of California at Berkeley. At Cal, Mr. Benjamin was an All Pac-10 wide receiver, punt returner, and kick off returner. He played every game during his four-year playing career and broke several records along the way. More importantly, Mr. Benjamin committed to mentoring youth in West Oakland by mentoring Roy Haskins at McClymonds High School. Mr. Benjamin became a spokesperson for the Athletic Speaker’s Bureau, Touchdowns For Kids, and Stiles Hall. Mr. Benjamin was honored with the Brett E. Merriman Award for his commitment to community service. After Cal, Mr. Benjamin pursued a career in the NFL and enjoyed time with the San Francisco 49ers, Oakland Raiders, New York Jets, and the Berlin Thunder of NFL Europe. After leaving football, Mr. Benjamin worked for Siebel Systems, Inc., a market-leading Fortune 500 company before being bought by Oracle. Mr. Benjamin also created, owned, and managed several companies; including a real estate company, an investment and asset management company, and a trucking and brokerage company. These lasting relationships and experiences led to Mr. Benjamin representing professional athletes with respect to their business transactions, as well as connecting them with opportunities and resources to carry them beyond their playing years. Mr. Benjamin has also been involved with consulting with start-ups and providing business advice to entrepreneurs. Mr. Benjamin is a graduate of the University of California at Hastings College of the Law. He graduated with a concentration in civil litigation, he participated in Hastings’s renowned Civil Justice Clinic, and he externed for the well-respected Honorable Thelton Henderson of the United States District Court, Northern District of California. While in law school, Mr. Benjamin participated as a mentor in Alameda County’s diversion program for first time drug offenders. Mr. Benjamin has remained active in business and his community throughout his legal career. He has also been active in supporting various political candidates and political action committees. 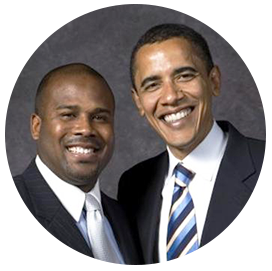 Most notably, in 2007 and 2008, Mr. Benjamin was an active fundraiser during President Obama’s first presidential race. He was also involved with fundraising for California Attorney General Kamala Harris, as well as other successful local and state-level campaigns. Mr. Benjamin is also currently enjoying his second term as a Board member for the California Association of Black Lawyers, and he has served as a Board member for the Charles Houston Bar Association, and on the Advisory Board for the Bar Association of San Francisco’s Diversity Pipeline Programs. 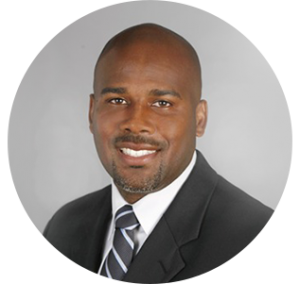 Mr. Benjamin is also a very active member of the California Football Alumni Club, he is often speaking on panels and speaking with students about the practice of law, and he continues to mentor students at all levels of education. Patrice Harper brings 16 years of spectacular advice and litigation experience to Benjamin Law Group as a Partner where she will continue her practice in the areas of employment law, high-exposure toxic tort litigation, and healthcare. Patrice is a former partner at Lewis, Brisbois, Bisgaard & Smith, and she earned her law degree from Harvard Law School before beginning her career at her first big firm. Patrice is knowledgeable in many areas of the law, providing her clients with well-rounded and informed legal services. She has handled numerous toxic exposure lawsuits, including asbestos and other hazardous substances. Patrice is highly experienced in healthcare and employment law, having previously served as general counsel to a healthcare company. Patrice has experience representing companies during litigation, arbitrations, administrative actions, contract negotiations and investigations. Patrice advises her clients on matters of business and finance, and knows what it takes to protect a company’s best interests in adversarial proceedings. Previously, Patrice acted as corporate counsel for a management and asset protection company where she gained further valuable employment law know-how. She is familiar with rules and regulations at local, state and federal levels, and ensures her clients are compliant with Title VII and the ADA, FMLA, ADEA, FEHA and FLSA. Patrice provides training and updates for management and employees on compliance risk areas, trends, and labor and employment law developments. She is well-versed in other legal matters as they relate to employment law, such as hiring, leave and accommodation, discipline, terminations and compensation. Patrice has successfully worked on all stages of litigation, from pre-trial motions to appeals. She has extensively represented clients as both witnesses and targets in complex government investigations, dealing with witness interviews, grand jury testimony, and the production of paper and electronic documents. With a diverse legal background, Patrice has practiced in state and federal courts. She has handled corporate investigations, securities fraud, multi-party and class action litigation, labor and employment litigation, intellectual property litigation, unfair business practices, construction litigation, insurance coverage disputes, bankruptcy, criminal cases and habeas corpus matters. Patrice also has experience in criminal law, enhanced by an internship in the United States Attorney’s Office. Dedicated to giving back, Patrice devotes much of her free time imparting some of her knowledge upon the next generation of lawyers. As a professor at John F. Kennedy University College of Law, she teaches courses on Constitutional Law, Civil Rights, Law and Motion, and Legal Research and Writing. 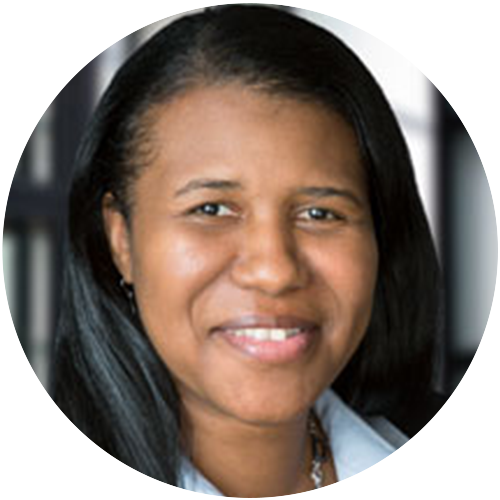 Angela L. Morgan is a senior litigator with more than 15 years of experience. Before joining Benjamin Law Group, P.C., Ms. Morgan founded Morgan-Logan Law Group servicing clients in San Ramon, Contra Costa, Solano, San Francisco, Alameda, Los Angeles, and San Bernardino. Ms. Morgan’s primary areas of practice include employment law, probate, estate planning, family law, entertainment law, and general business matters. Ms. Morgan is more than just a skilled attorney. In addition to successfully representing clients in various areas of law, she prides herself as an excellent listener and as a responsive advocate. It is extremely important to Ms. Morgan that she is responsive to client needs and that clients remain comfortable with her high level of commitment to representing their best interests. Allyssa Villanueva is a Litigation Attorney with Benjamin Law Group. Ms. Villanueva is a native of Oakland, CA. She holds a B.A. in Ethnic Studies with Honors and a minor in African-American studies from UC San Diego. She obtained her J.D. from UC Hastings College of the Law and is licensed to practice in California. Ms. Villanueva has substantial litigation experience with an emphasis on labor and employment litigation. She has successfully litigated numerous matters involving issues of harassment, discrimination, retaliation, and various violations of the California Labor Code. Ms. Villanueva is a key member of the firm’s litigation team and has proven to have a keen eye for resolving legal issues and developing the evidentiary support needed to succeed for her clients. Ms. Villanueva has unique experience in that she completed the California Employment Lawyers Association (CELA)’s Public Interest Diversity Post-Graduate Fellowship. She was selected after competing with more than 25 national applicant. Ms. Villanueva spent the first part of her Fellowship with Legal Aid at Work in San Francisco, CA focusing on race, disability, and criminal history discrimination in employment as well as wage and hour and unemployment insurance matters. She then completed her Fellowship term with Feinberg, Jackson, Worthman, & Wasow in Oakland, CA where she worked on their Medi-Cal civil rights case, long-term disability insurance appeals, wage and hour class actions, and matters involving ERISA. Allyssa currently serves as an appointed member of CELA’s Diversity Outreach Committee. 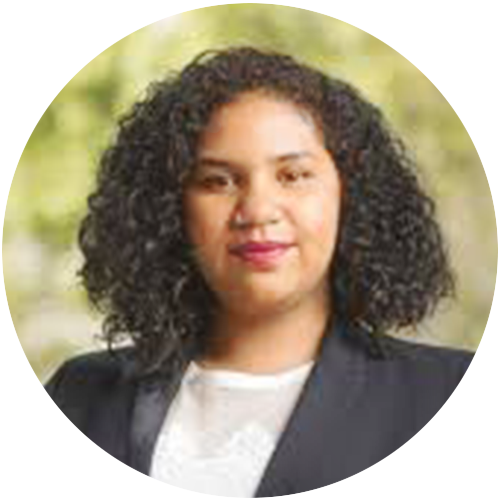 Allyssa has a demonstrated commitment to labor and employment law prior to beginning practice, including serving as co-president of the Employment and Labor Law Student Association, and working at UC Hastings’ Individual Representation Clinic. She also worked at the Labor and Employment Law Division of the Oakland City Attorney’s Office and completed an externship with Magistrate Judge Donna Ryu of the U.S. District Court -Northern California.